Transoms are a type of window located above a door, window, or other glazing materials. The most common type of transoms are those which are located above a door. Sizes of transoms mimic the size of the door. On a 36” wide door you will usually find a 36” transom that is 24” in height. A rule of thumb for a standard proportional transom height is to use one third of the door’s height. A large curtain wall can utilize a transom and will follow the bay divisions of the wall. 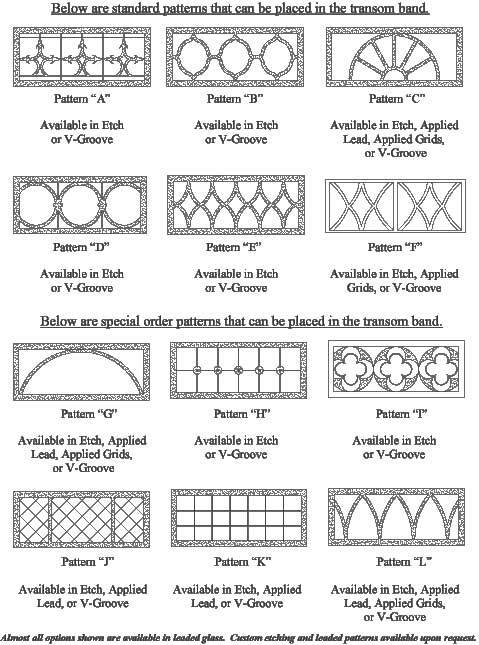 At times, the transom can be cut to an arch shape for functional or aesthetic purposes. 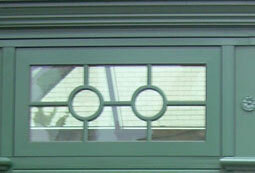 A transom is typically fixed glass or operates like a hopper window. A fixed transom has no operable parts. Its main purpose is to let light into a room and provide architectural appeal. An operable transom is hinged at the bottom of the window. The transom will then open into a room, preventing rain, wind, or snow from entering room during inclement weather. Often time’s transoms are adorned with grid work, especially in traditional applications. 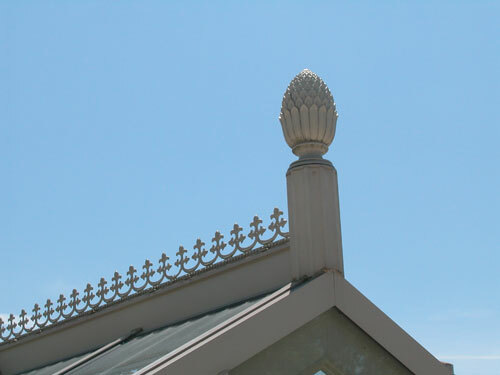 When the building is in a historic district or needs curb appeal, decorative items are added. One of the most popular additions to a transom is a Palladian arch. In this case a half round transom is utilized and the exact number of radiuses is determined by the client. A third option for the transoms is to etch the glass. There are different methods depending on desired outcome. If you want a texture on the glass, acid etching is completed. This process will create a e-dimensional texture such as grass or rain drops. Another option is to sandblast the glass to create flat designs. Standard design offerings are shown below. The third option is v-groove. This process is where the glass is chiseled. It is similar to carving wood, where an actual indentation is present on the glass. Another decorative grid option is to include leaded grids on the transoms. This is a very historical style. Old homes and buildings used leaded grids before any of the vinyl or aluminum grids were invented. Stained glass windows utilized leaded gridding and this is where leaded grids became popular. There are two types of leaded grids 1) true divided and 2) applied leaded. The true divided is the historic form where individual pieces of glass is fit around a leaded grid. The applied leaded grid consists of a solid sheet of glass and the grid is placed on top of the glass.